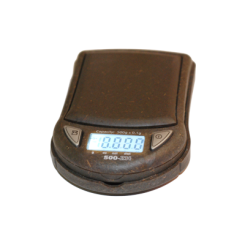 This patented pocket scale is the first in the world made of eco-friendly hemp composit. Hemp plastic is a revolutionary product that is getting used more and more due to its’ environmental-friendly, strong and low-weight properties. Help make the world greener by using Eco plastic rather than petroleum based materials!